Before we head home to visit family for the weekend, I wanted to share a few scriptures that I have found comfort in during our journey with Autism in hopes that those who are perhaps going through the same struggles will find some comfort in them when they need it as well. Being a mother of a child with Autism is not easy at times, but it helps knowing that I am not alone in this and that He is always with me through it all. This is one of my absolute favorites. So many times as parents we seem to blame ourselves. As parents to a child with Autism, we sometimes wonder if there was something we could have done different...had we not done this or that during pregnancy, had we not let him eat such and such or given those vaccines, would it have made any difference? Would my child still have had Autism? This verse, to me, is another great reminder that what's done is done, and this is all part of God's plan. This goes perfectly with the last statement. 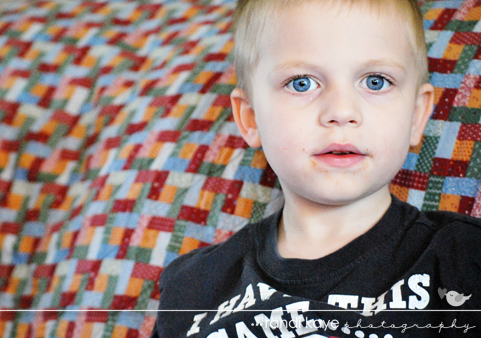 Despite his Autism, I know that God has amazing plans for my son. They might not be the plans we dream of when we first become mothers, but if we let go of those plans, and trust in God, we will find that His plans are even better than our own. We have been truly blessed in our journey with Autism to have been given an amazing support system. Teachers, therapists, fellow moms, etc...without all of these wonderful people we would not have seen the amazing progress we have seen so far in Shaun's life. We have also formed some amazing friendships and met the most wonderful people along the way. I am forever thankful for each and every one of them. Even the best, most patient of mothers have those moments where we feel weak and defeated and feel like we just can't go on. As I said before, it's no easy job raising a child with Autism. These verses, and others like them that remind us that we're only human and it's okay to be weak. It is in those times that I turn to God to help me through those rough points, and eventually we get through them, if only we keep pushing forward. Another great reminder that all our children were created by God. He made them just as they were intended to be- absolutely amazing, Autism and all. I love how Scripture can be used to comfort us in all circumstances.